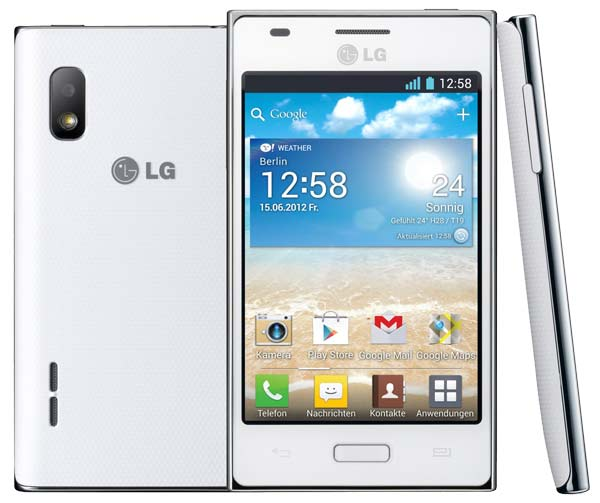 Launched in June 2012 and also known as the LG Optimus L5 Dual E612, this device is highly appreciated for many of its features. The 4GB storage capacity, its connectivity options, as well as the Android Ice Cream Sandwich operating system is runs on are a few of these ones, but there’s much more to this smartphone than meets the eye. If you own it, you most probably know this already, which is why you’d certainly want the device to work perfectly at all times. 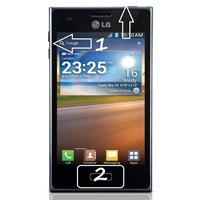 This is why our article will show you how to do a hard reset on the LG Optimus L5 E610. In order to keep your smartphone functional at all times, you’ll want to make sure that it’s never attacked by a virus. However, it is sometimes hard to control such things at all times. This is why, whenever your phone stops working properly, you can give it a helping hand by performing a master reset procedure. This one will remove all viruses and infected user files while it’s going to restore the LG Optimus back to factory soft. Coming in black, as well as white, this LG device has an elegant look. It measures 118.3×66.5×9.5mm and only weighs 125 g, so it’s pretty easy to carry around with you anywhere you go. Given how addicted you’ll become to this device after having used it for just a few months, you’ll need plenty of apps to make the most of your experience. Using the Wi-Fi 802 hotspot, you’ll be able to download countless apps for free from Google Play. Speaking of the internet and connectivity, you should know that this LG phone reaches 7.2 Mbps download and 5.76 Mbps upload in HSPA. It is also equipped with Bluetooth v3.0 and microUSB v2.0. You can take plenty of photos and shoot 480p@30fps videos using the 5 MP camera on the phone’s back. Unfortunately, it doesn’t come with a secondary one, but its primary camera has plenty of amazing features: touch focus, geo-tagging, autofocus and LED flash. One of the easiest ways to restore this LG smartphone to original settings is to use the LG Mobile Support tool. This one can be downloaded from the internet in just a few seconds, and it has the same effect as most other methods would do. You should make a backup before getting started with this one, though, as it will erase all user data. Once you’ve installed the tool, it will guide you through all the steps and show you exactly how to do the master reset. If you can’t install the tool, it crushes too often or you simply didn’t get any results using this method, we recommend reading further. We have two main options in terms of resetting this device, and one of them uses the hard reset buttons while the other one is perfect for minor issues. The latter uses the phone’s menu, so you will need a functional and responsive keyboard. Scroll down and select Backup & Reset. Choose Factory Data Reset and read the info. Tap Reset Device, and then press Delete All. The hard reset keys option can also be used to get the same results. Before using this one, though, we recommend charging the device to 100% and removing all cables. You should then switch the phone off, remove and reinsert the battery. Press Volume- and Power and wait for the phone to light up. Release keys when it does that and Press the Home key for 2 seconds. The device will turn on, and it will then perform the reset by itself. Do no interrupt the operation and wait for it to restart.